Why not join us at Scottish Region’s THS, at – Drum Estate, Danderhall, Edinburgh. This is only 5 miles from the centre of Edinburgh, with a bus route running past the site. The site itself is large enough to cater for everyone who turns up with site Fees at £10 pupn. On site Ceilidh on Saturday 17th August. We are organising coach trips, for our Members, to the Edinburgh Military Tattoo on Thursday 8th and Thursday 15th August 2019. The price of the Tattoo seat tickets are £58 each plus coach fare, tickets are selling fast so don’t leave it too long or they might not be any left. The action-packed programme will feature world-famous Massed Pipes and Drums. If you would like to book tickets for the Tattoo see ‘Sites for Holidays’ in the Magazine for contact details. The tickets sell out quickly, so book early to avoid disappointment. 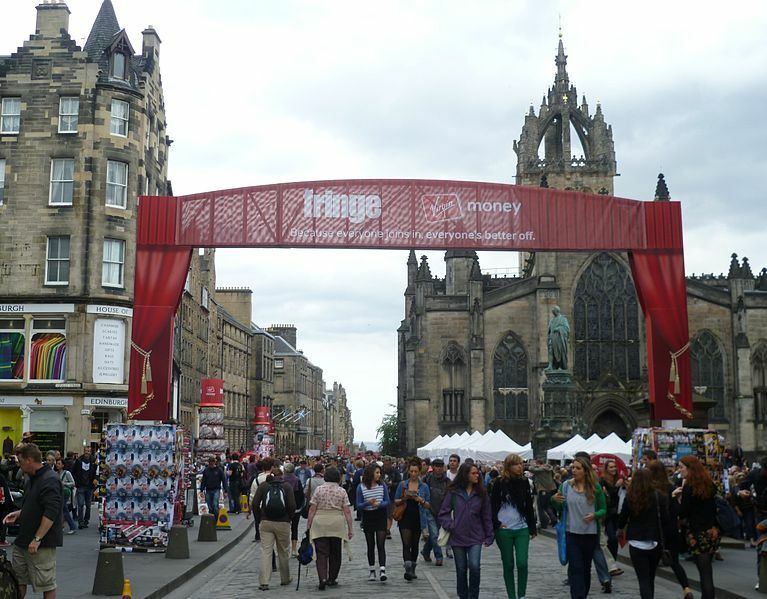 Well worth visiting, is the Edinburgh Fringe festival which is the world’s largest arts festival with over 32,000 performances and more than 2,000 shows packed into 250 venues across the city. For further info contact Mike & Gill Wild – 077131 22061 or see ‘Sites for Holidays’ in the Magazine for details. We are interested in joining you at your new THS site near Edinburgh this year, we stayed with you in Dalkeith Country Park a couple of years ago which we really enjoyed. Are there any facilities on this site other than water and chemical waste disposal? It says that there is plenty of room so presume we don’t need to book. I’ve checked in the last couple of magazines and can not see an entry for this THS to get more details. The new site at Drum, near Edinburgh has no facilities. There is plenty of room, so you can just turn up. It should be in the magazine shortly as we were late in confirming the site. Hi, we are hoping to join you at the Drum Estate THS, apart from the Ceilidh on the 11th is there going to be any other entertainment from the 14th? Hi Dorothy, We only do a ceilidh the one night on site, on the 11th August, sorry we don’t do any other entertainment on site. There’s so much going on in Edinburgh with the Fringe & Tattoo and the site is next to a great bus route, so easy access into the town. Hi, no need to book just turn up, there’s plenty of room. Your friendly stewards will welcome you anytime up to 11pm.